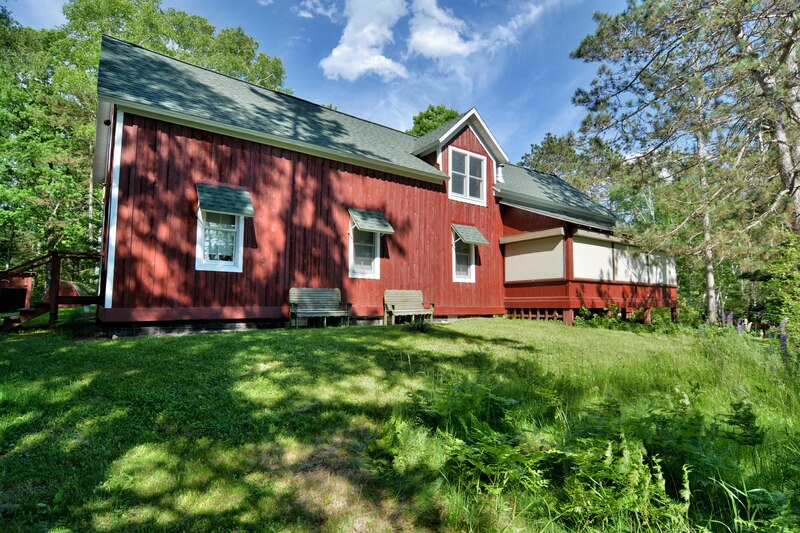 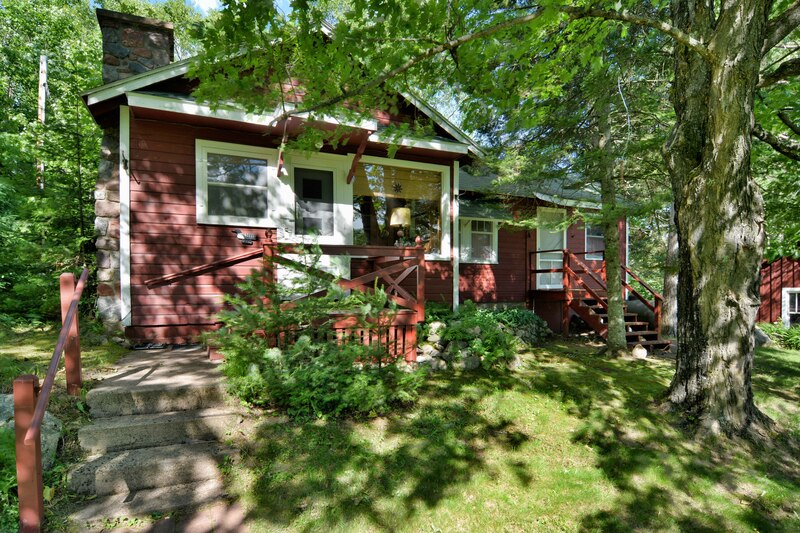 History buffs and vacationers seeking a peaceful getaway alike will be drawn to Birchwood with its 4 bedroom vacation home (Big Red) and 2 bedroom cabin rental (Little Red). 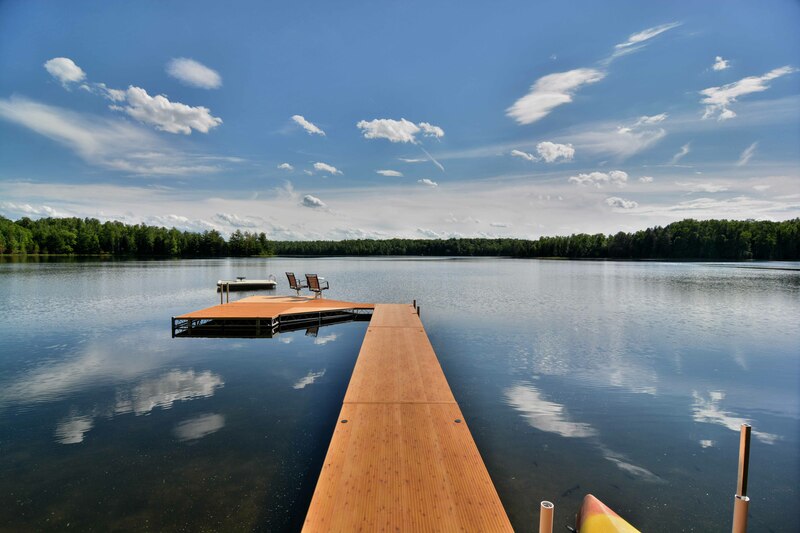 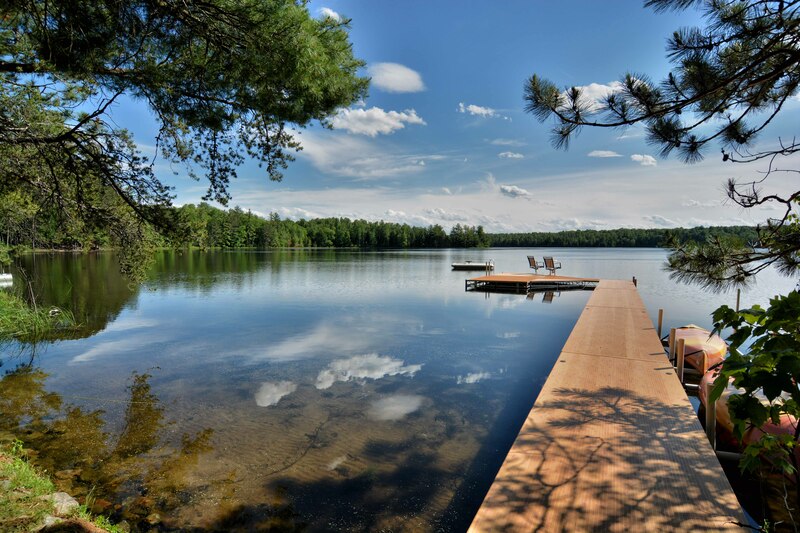 Originally the site of one Northern Wisconsin’s early 20th century logger camps, this renovated estate is located on a private lake between Clam Lake, Wisconsin and Lake Namakagon. 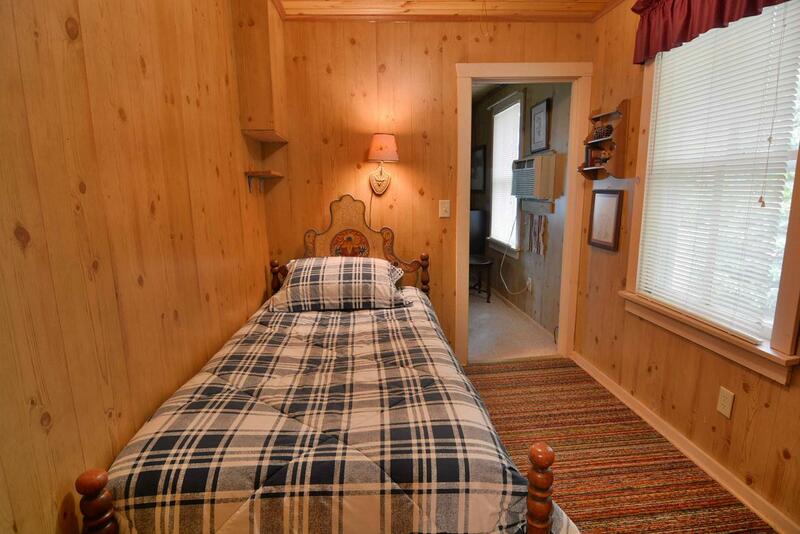 Don’t worry; you won’t have to rough it like a lumberjack here! 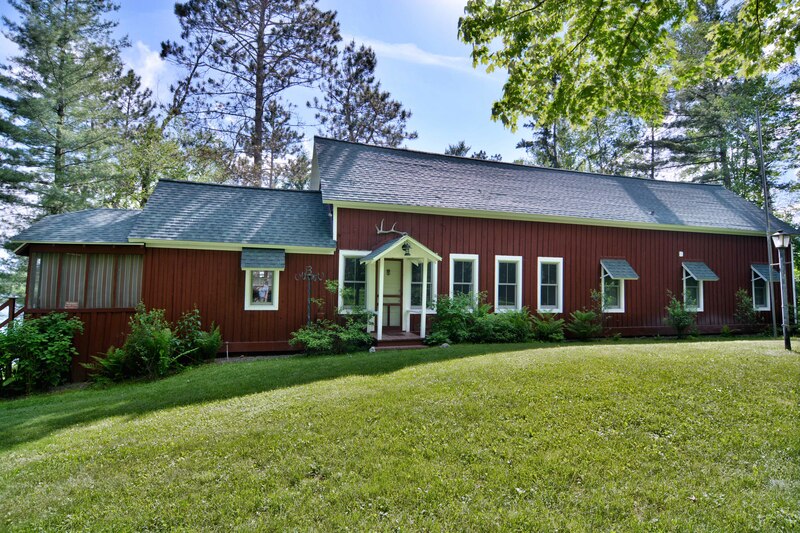 Beautifully renovated and upgraded with modern amenities, Big Red and Little Red now offer a truly unique vacation getaway in Wisconsin’s Northwoods. 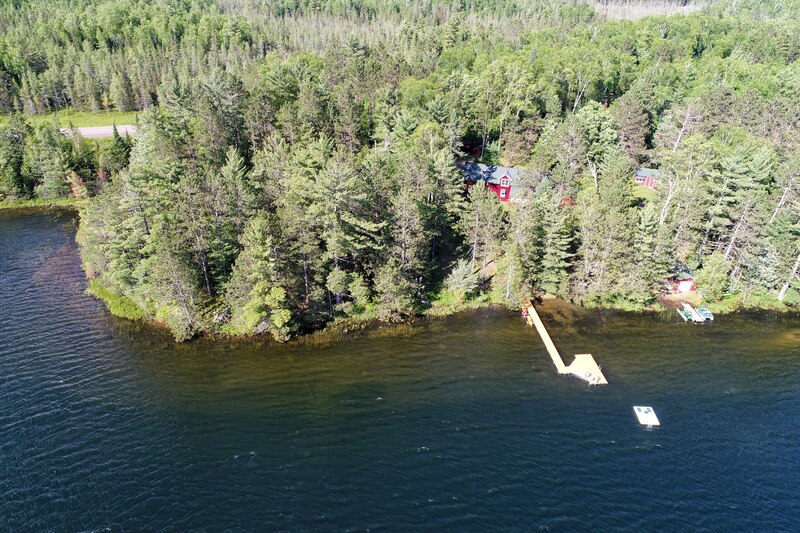 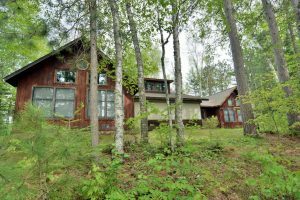 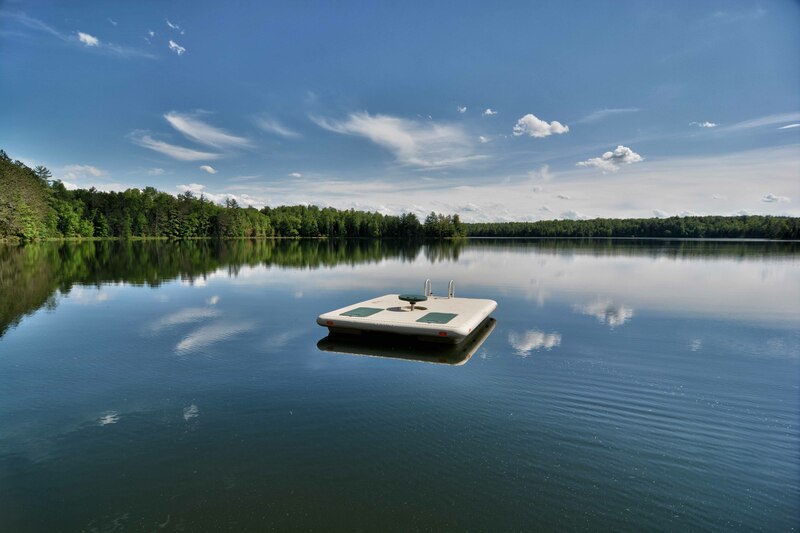 Located on the sandy shores of 100 acre Dells Lake, this vacation home and cabin are a great escape for multiple families, small groups and those seeking a peaceful retreat in Northern Wisconsin’s Chequamegon National Forest. 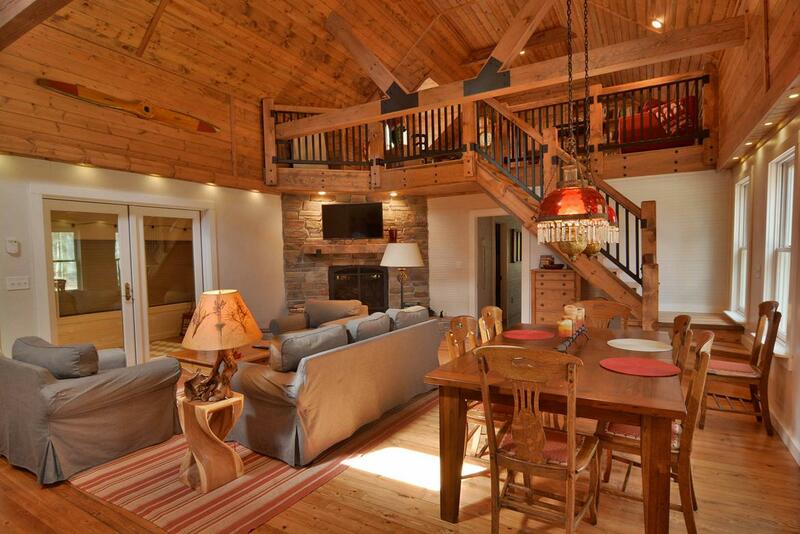 Big Red is a 4 bedroom lodge constructed with magnificent log timbers. 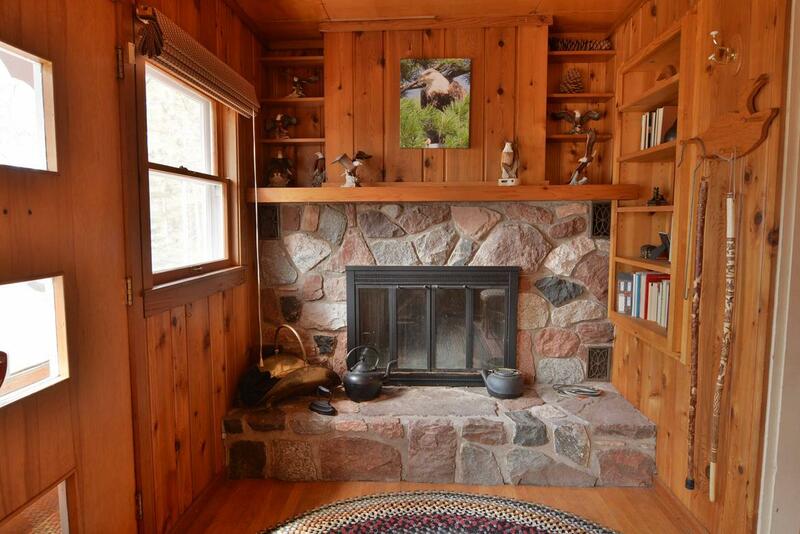 The spacious, comfortably furnished great room has exposed timber beams, gas fireplace, flat screen TV and beautiful log dining table. 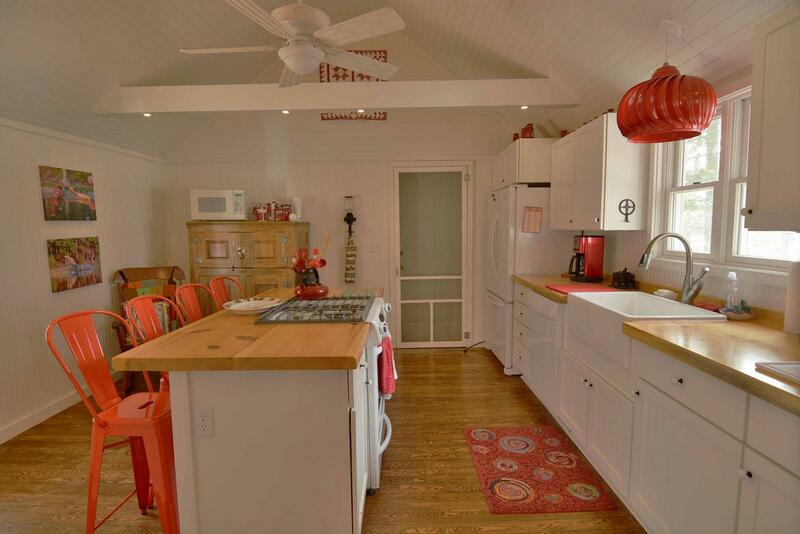 The fully equipped kitchen gas stove top, oven, microwave, coffeemaker, dishwasher and 4 stool kitchen island. 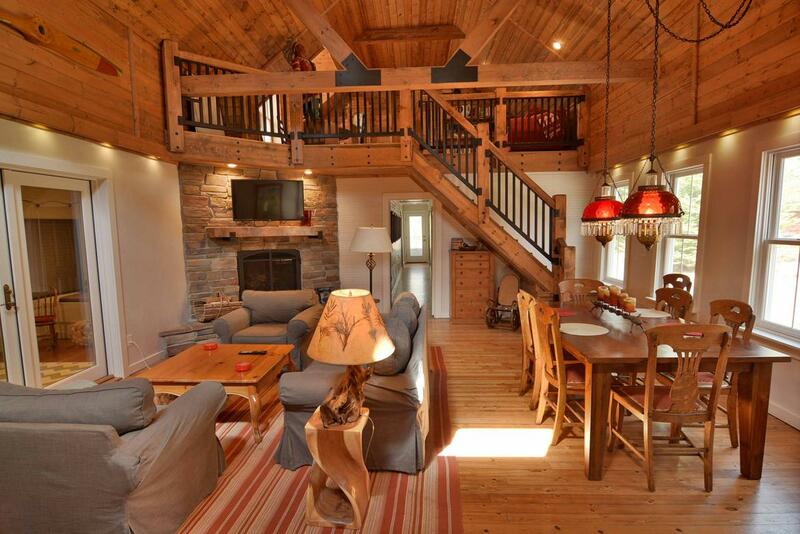 From the great room you can walkout to a screened porch that overlooks the lake or climb up to a loft sitting area. 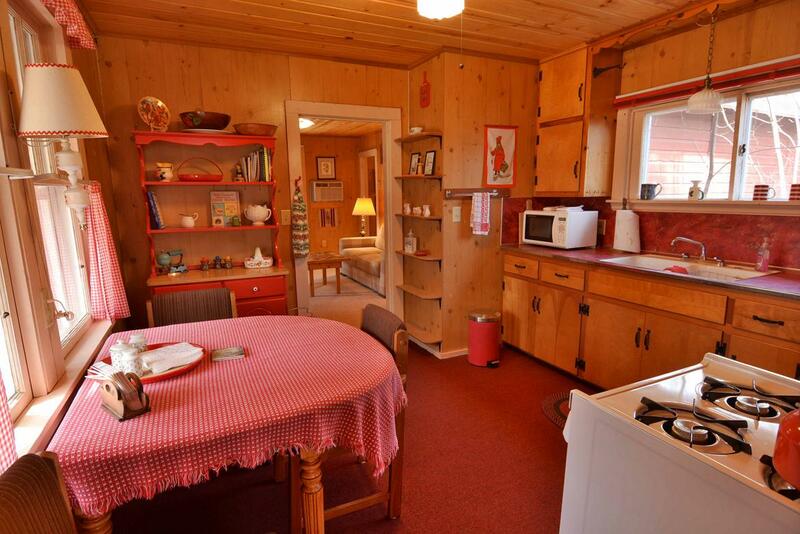 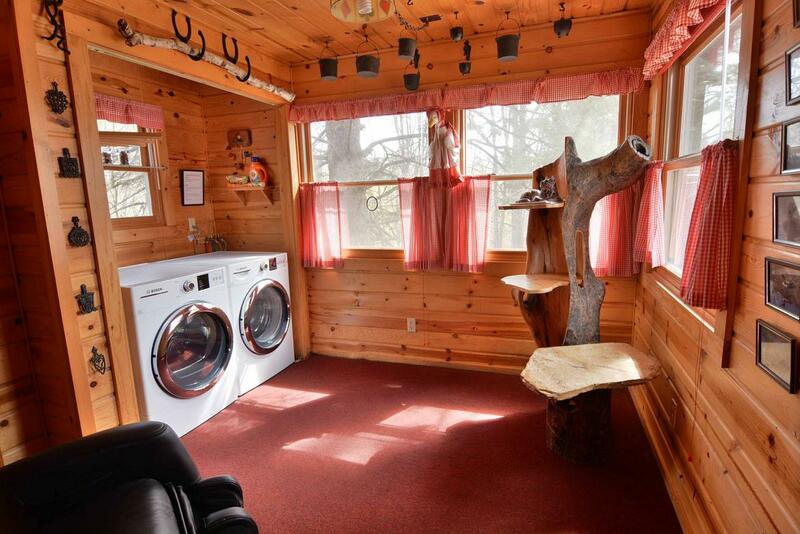 Little Red is a cozy 2 bedroom cabin with its own fully equipped kitchen, full bath, fireplace and washer/dryer. 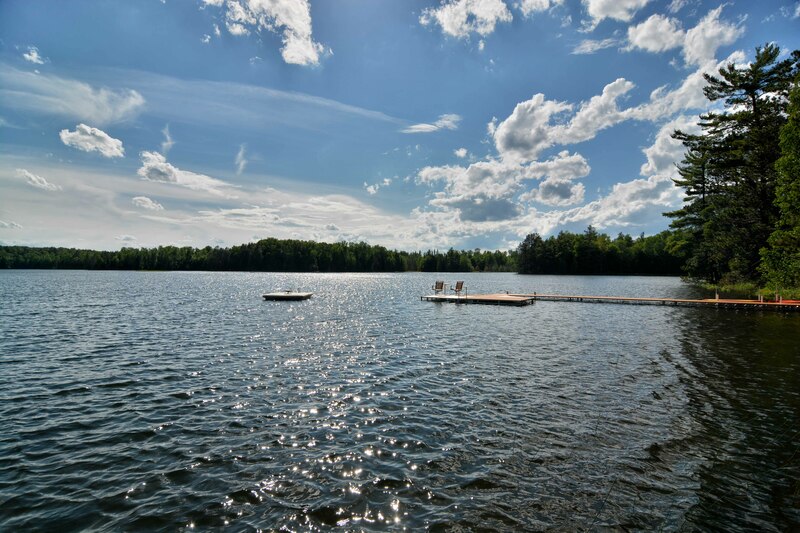 The sandy lakeshore and clear waters make for very good swimming and paddling conditions. 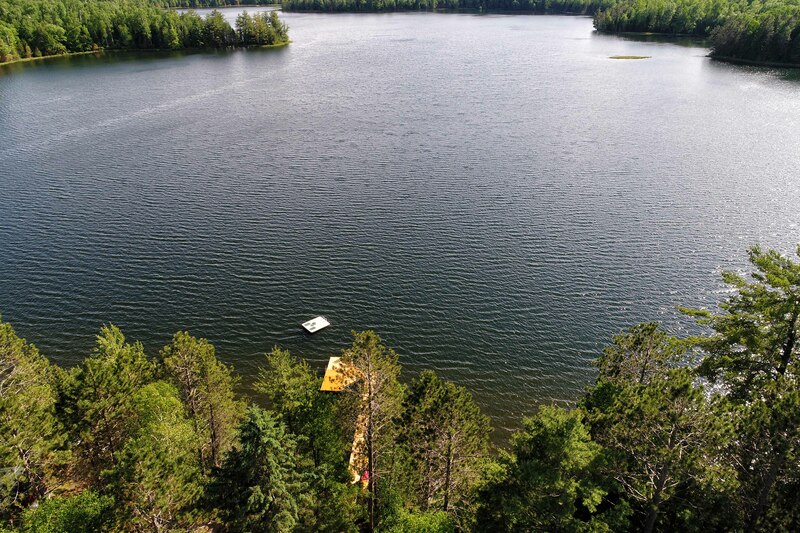 Explore this non-motorized, private lake with its largely undeveloped shoreline by kayak or paddleboat. 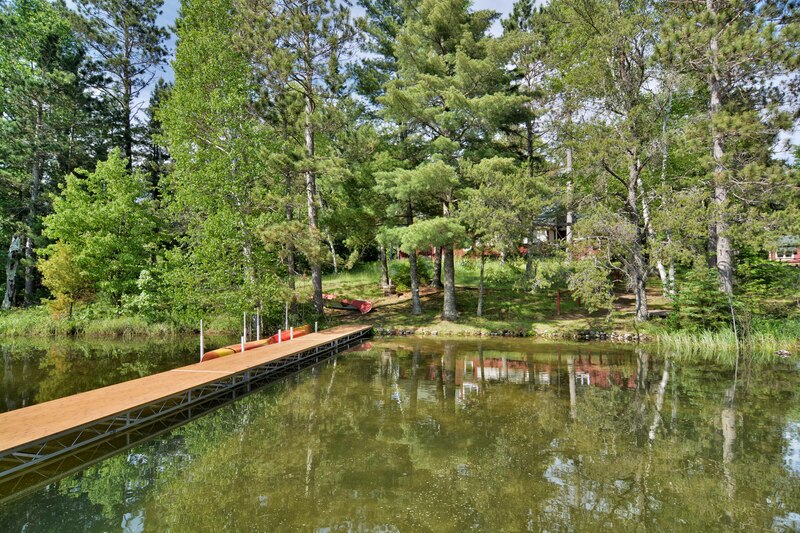 Or relax under the trees and enjoy a tranquil wilderness setting in Northern Wisconsin. 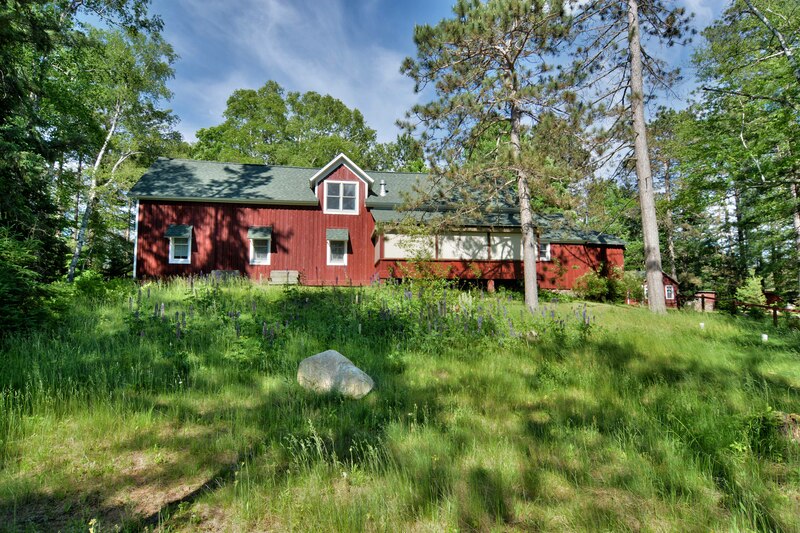 Birchwood and its neighboring 3 bedroom vacation home, Cedar Lodge, vacation rentals are perfect group lodging for couple retreats, family reunions or a vacation getaway with a group of friends and family. 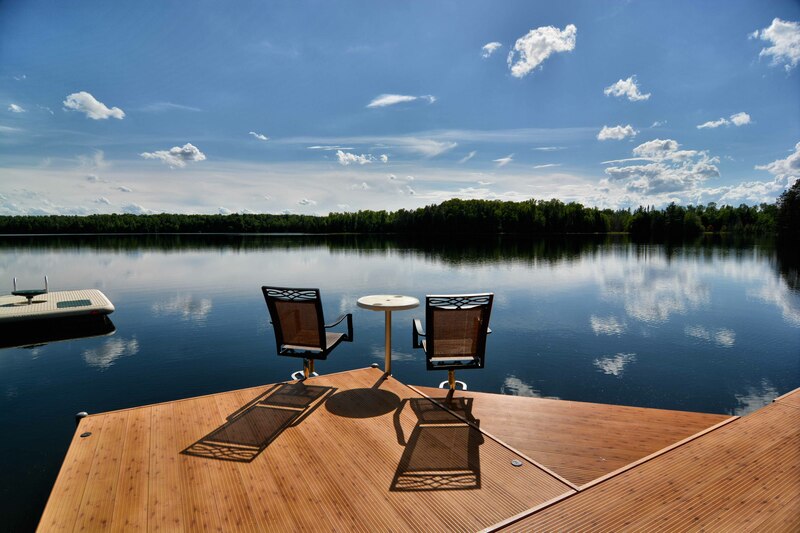 The two vacation homes are connected by a short path along the lakeshore on a private lake. 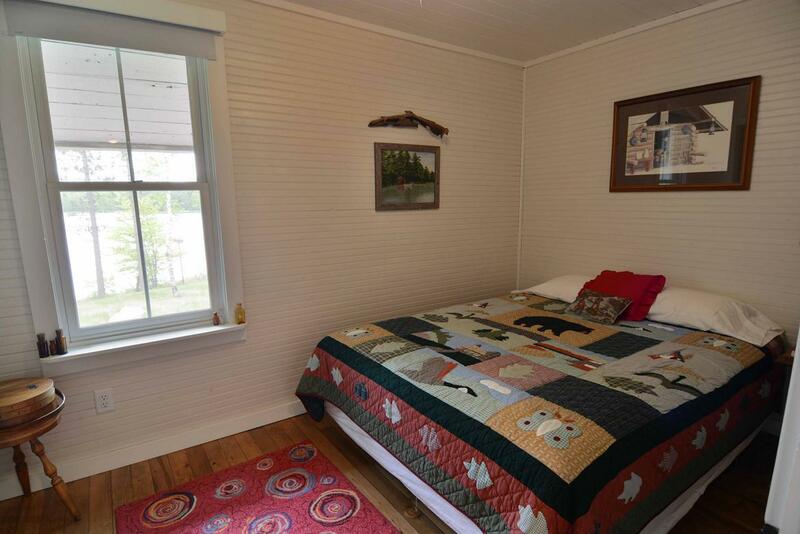 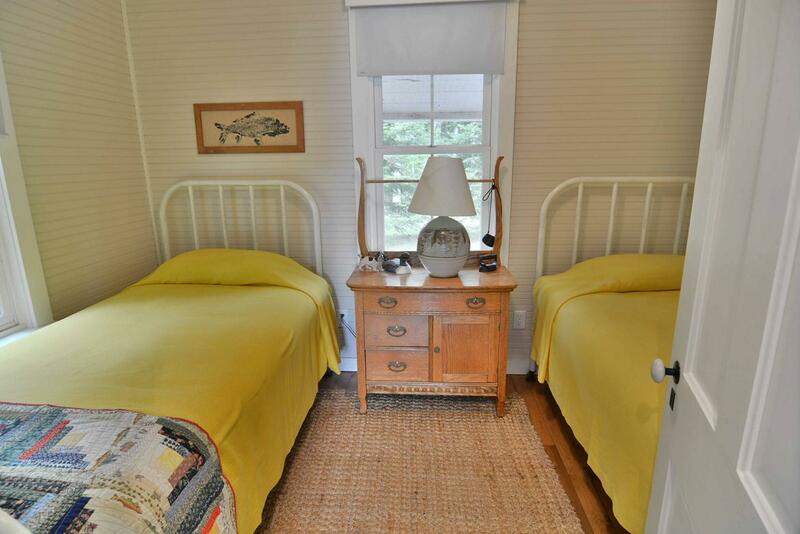 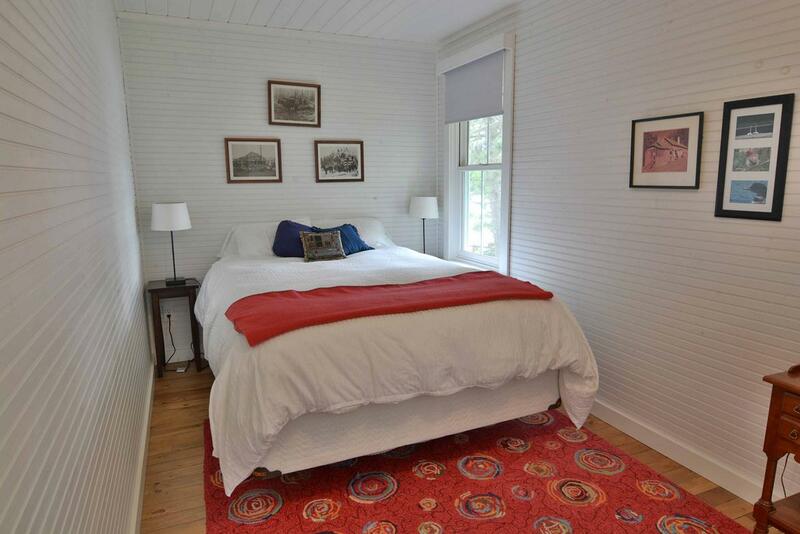 The lake homes can accommodate up to 16 people between the two vacation rentals. 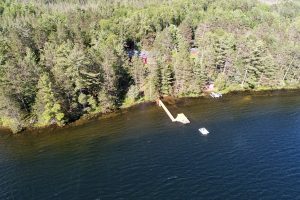 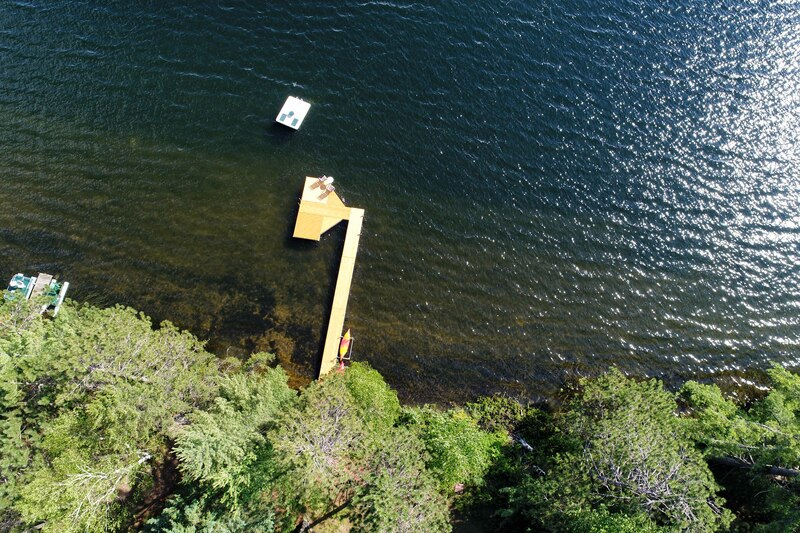 With hundreds of feet of sandy shoreline, many wooded acres and open interior layouts, the two rentals make the perfect getaway for small groups, large families and group retreats.